Do you want to learn how to grow a BIG PUMPKIN? Keep reading, I’ll provide you what’s required to get the job done. 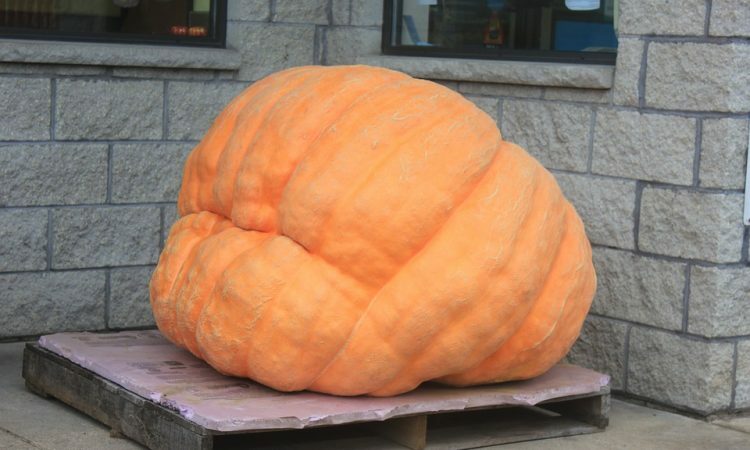 Remember, LUCK and a lot of extra work are required to grow a giant pumpkin. year, he grew a 977 lb. pumpkin. Soil Preparation is the key for any type of plant growth. We’re not growing a Xeriscape fruit. These pumpkins require the correct soil medium to grow to a healthy prize-winning pumpkin. Try to find out what your soil conditions are currently, and consult your local County agencies for soil testing. The soil test will provide the amount of soil nutrients your garden contains and provide corrective action to balance your soil for planting. The County or State will provide the test results which is defined as the percentage of nitrogen, phosphorus and potassium fertilizer needed to correct deficiencies; these percentages are the three numbers found on most fertilizers bags.. Follow what they say and amend your soil with the compost or fertilizer of your choice. Of course there are many types of products to amend your soil, I just added chicken manure. Some people plant a cover crop in the winter and amend the soil with a additional manure in the to give that extra punch. Now be sure to till your compost in well to provide a good planting medium. (in) At 12 in. At 18 in. Cu. Yds. Cu. Ft.
PERLITE, PEAT MOSS) FOR 25 SQ. FT.
Volume For 12 in. For 18 in. Here is some additional data on providing compost to your soil. Remember, ever garden can use a good compost feeding program. Selecting a good genetic seed increases your chances in growing a large pumpkin. To get good seeds, join a local Pumpkin grower association or you can order these seeds from Howard Dill or P & P SEED CO.
A pot and potting soil are required if you plan on starting your seeds indoors. I created a hothouse in my garage, which I’ve started my plants. I recommend buying a high-quality potting medium which can be purchased at your local nursery store. Don’t waste your time on buying the cheap stuff. Do it correctly and “buy a quality product”. Seed germinate takes about seven days if the soil surface temperature is around 80 F. This is not a requirement, but it is my rule of thumb. Plant the seed in a large Jiffy pot with a hole on the bottom or plant it in a gallon pot to be transplanted in the near future. I’m lazy and I use a four-inch pot. The experts say not the let the pumpkin roots get bounded within the pot but what do they know?. Of course, I have only grown and 468 pounder which is a pickling fruit. Early season plant care and protection should be provided to your seedling prior to planting outside. Now you’re ready to plant outside but the problem is the last frost is a month away. To resolve this, build a cold frame to protect your seedlings. Some people build huge structures and others build a standard 4’x4’x4′ enclosure. I did this last year, but the problem was the cold frame was not heated. So this year I plan on providing an electrical heater to keep the soil and air temp above normal. If I can, maybe around 65 degrees plus. Before you plant the seed on the mound, lay down a sheet of black plastic or some sort of material to retain the heat around your seedling. If you use plastic, place a drip hose under the plastic so it is between the soil and plastic to provide water to the roots. Secure your thermal barrier to retain the heat loss. Don’t forget to provide a hole for your seedling. Plant your seedling in the elevated mound of soil in your cold frame. This will provide the most heat for the buck. I was just reading a book on heat transfer within soils and they recommended . . . . . It was boring even for an engineer. 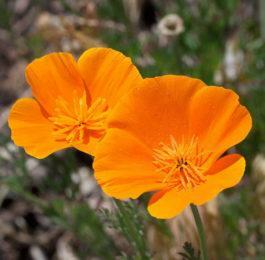 Early season fertilizing and watering is recommend to provide superior plant growth prior to pollination. The recommend liquid-solid ratio is 9-35-15. The first stage of fertilizing should be based on providing phosphorous for root growth, gradually shifting to more balanced formulation with more nitrogen. As time progresses, prior to setting the fruit switch to higher potassium formulation for development of the set fruit. The plant growth takes place for around 60 days. versus different types of medium. Most of the prized pumpkins are at least 10 feet from the main root tap. So pile it on. Select the female plant at least 10 feet from the main root tap. Some growers do not even pollinate until there is at least 800 leaves on the plant. I can’t wait that long. I want to see it grow. Don’t forget, timing is important for pollination. Look at those vital statistics for your local grower or zone and see when they pollinated. Back to selecting a female . . . . plant. I assume you know the difference between a male and female pumpkin. If not, the female has the fruit under the flower and the male is a long slender stem with a flower on top. Now we have discussed the difference, find a female plant with the correct angle on the vine and with five-plus segments. I donºt why the angle is important but they say the position of the flower on the vine does affect the selection process. A good female candidate should have a stem angle which is almost 90F (perpendicular) to the vine. If the vine versus the female plant is acute, the stem will be more likely to be damaged as the pumpkin grows. If you want, you could modify the angle with a little TLC. Segments are the cavities which contain the seeds. When you look inside the flower, you will see the segments. The female flower is characterized by the multi-segment stigma located in the interior of the flower. male stamen on the female stigma. How about some more information on pollinating at The Pollination Scene. Post-fertilization program is required during this transition from vine growth to fruit. During the fruit growth stage switch from the balanced fertilizer to a formulation which contains a high percentage of potassium. If you use a water-soluble fertilizer use a ratio of 1-1-2 or 1-1-3 for optimal growth. Vine positioning is required for your main and secondary vines. Positioning the vines will provide a proper use of your growing area and reduce vine stress. Make sure the vine is perpendicular to the fruit. As the pumpkin grows, the shoulders will extend forward, touching the vine. . So if the pumpkin grows, the vine will go upward and undue stress will be provided to the vine. This can be eliminated by positioning the vines early so they go away from the pumpkin. Make a “U” shape or give it some slack. Think Ahead! Stem stress is very common in pumpkins over 200 lbs. In the Growing Giant Pumpkins manual, Pumkinguy@aol.com) its goes into depth on stem stress but basically, most people cut off the tap root at the pumpkin and a couple on either side of the pumpkin. This allows the vine to raise off the ground as the pumpkin grows tall. You can also have trouble with the shoulders of the pumpkin growing so large that they push against the vine and split it off that way too. When the pumpkin is about the size of a basketball you can slowly move the pumpkin perpendicular to the vine. This should be done in small steps over a period of a week or you will snap it off. There is no warning when the pumpkin is about to crack off so go slow and don’t move it much each day. Also if the fruit sets on the left side of the vine, you can train the vine to the right which gives the shoulders more room. Side vines can also wrap around the large pumpkin and cause splits. Train the side vines away from the area where the pumpkin will eventually be so there is room. Daily measurements and selection is required to assist you in your final choice (if luck is on your side). So what is this all about? You now have several fruits on your vines and you need to make a decision on which fruit to select for the final pumpkin. So, go out there and measure the circumference of each pumpkin daily and keep records. From your data, you are able to make that final decision for your prize winning pumpkin. But is this the correct decision by understanding growth patterns or should you be concerned about the texture of the skin? Does that big one have a nice shiny gloss or is it flat? Who knows, it’s your choice. Shade protection should be provided to prevent cracks. See the vital statistics and noticed how many big ones had shade protection. Build a frame around your pumpkin without stepping on any vines. Some growers us a product called ReMay. You should be able to find this at your local Nursery. Well, I hope this helps. Keep in touch and tell me how your pumpkin is growing. Let’s get growing and learn what it takes to grow a big pumpkin. Are these pumpkins just for show purposes or can they be used for food?